iOS 11 is just a few months away and a new concept aims to keep the hype at an all-time high by outlining a bunch of features which we all want. Apple is all set to reveal iOS 11 at its WWDC 2017 keynote in June. But at the time of writing, it’s absolutely unclear what the new mobile operating system will bring to the table. A new iOS 11 concept however, aims to highlight a bunch of cool new features which we want to see in the future. 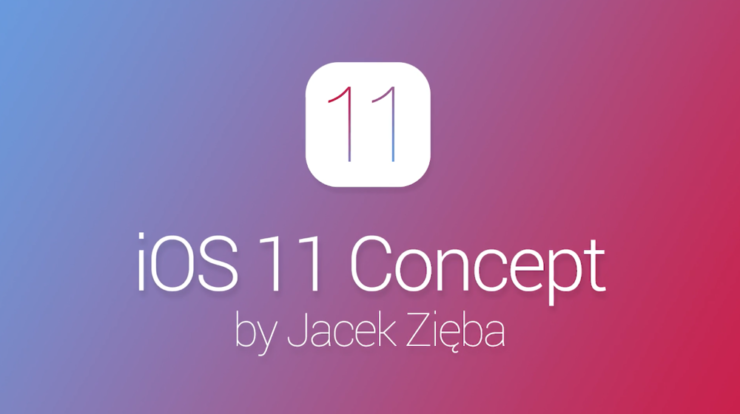 Behold, check out this wonderful concept put together by designer Jacek Zięba. As you can see, there are a handful of awesome features thrown into the mix. The first and foremost features is Night Mode where things look absolutely wonderful in a toned down dark theme throughout the system. And for good measure, the designer went ahead in imagining multiple user accounts as well, which can be accessed using a simple swipe up on the lock screen to select the user, and then authenticating using Touch ID. Siri has been given a visual overall too and looks more like Google Now, with all information laid out in a brilliant card-like format. But our favorite feature from the entire bunch is perhaps group FaceTime calling. No more you are required to have a one-to-one call and are free to add more people if you so wish. Like the iPad, the designer imagines split-screen multitasking on the iPhone with the release of iOS 11. Quite frankly, split-screen multitasking might be slightly overkill for a smartphone, but if you are running a mobile office, then it’s a feature which will come in quite handy for you. There are other features thrown into the mix as well such as Game Mode which are worth checking out. Overall it’s a wonderful little concept and something which I will firmly stand behind. But will Apple actually end up announcing something similar this June? We have no clue. What we do know is this: iOS 11 is coming, and the hype train is in full swing!